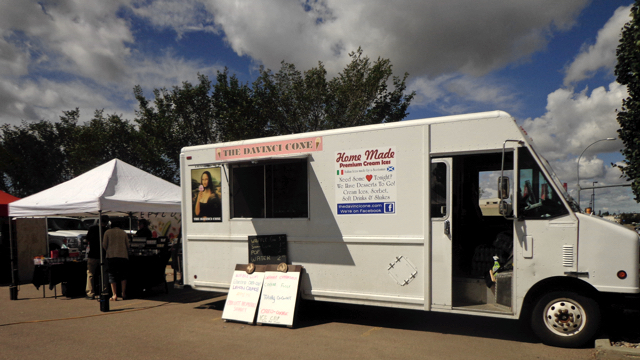 The Davinci Cone features homemade Italian ices and cream ices. Our Totally Coconut is totally awesome, little kids and big kids love our root beer cream ice. We have waffle and wafer cones, cups and pint containers for that romantic evening at home. Sorry, we don't know when The Davinci Cone will be open next. We last saw them on September 12, 2018 at Southwest Edmonton Farmers' Market, 2051 Leger Rd NW, Edmonton. Check back soon — as soon as they post their schedule it will show up on this page. Do you own The Davinci Cone? Sign in to post your schedule.